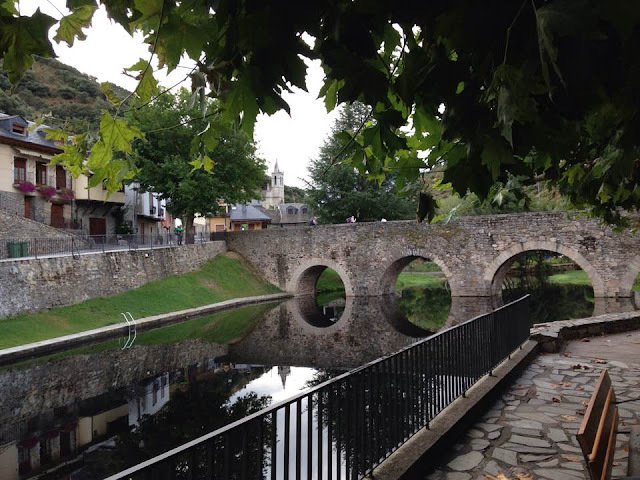 Tom and Eric spent their twenty-ninth night on the Camino at Ponferrada. They started the fifth week of walking in the dark to beat rain. Tom and Eric stopped in the nice little town of Molinaseca for breakfast of--believe it or not--eggs and bacon, plus canned baked beans (for Irish and English no doubt). They covered 8k in 1.5 hours, slipping downhill all the way in dark over slippery shale and gravel. 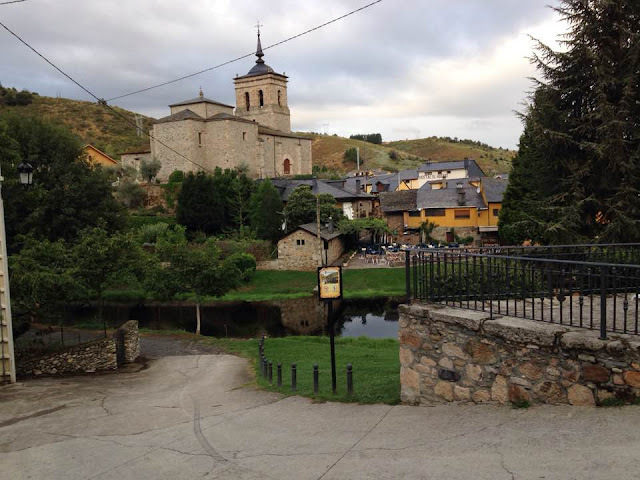 They did beat rain to Ponferrada and waited for the Albergue Area ( Liz recommendation) to open.